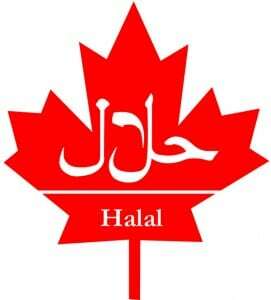 The Islamic Food and Nutrition Council of Canada (IFNCC) has certified the Albany beef plant for halal production of its products. Atlantic Beef Products Inc., is eastern Canada’s only federally Inspected producer of beef products. IFNCC says it is Canada’s leading halal certifying organization. A halal certificate provides Muslims with a reliable and independent testimony that a third party has examined the plant for quality assurance, said a press release from the plant. The council web site says meat must not be, with absolute certainty, contaminated by pork or certain other animals, must be hung to properly drain of blood and must be killed in the name of God, to name a few criteria. “Canada has a Muslim population of over one million and those customers can now confidently choose Atlantic Beef Products and be assured that this beef will meet the needs of Muslims for halal food products,” said Russ Mallard, president. “There has been a steadily growing interest from Muslim consumers, food retailers and food service operators looking for halal beef in Atlantic Canada,” said Mallard. The company says that animals used for beef at the plant are fed from primarily pastured grasses, grass and clover silage and hay, as well as local grains and potatoes. “This natural diet, combined with the time-honoured technique of caring for the animals produces a superior quality beef, rich in marbling and flavour.,” said Mallard. Atlantic Beef markets its products as Prince Edward Island Certified Beef, Blue Dot Beef and various other cuts and supplies leading grocery retailers, food service distributors and independent butchers throughout Canada.